« And Just to Ease the Cares of the Day: Birther/GOP mockery dept. Update: Thanks to commenter Thony C. for the link to the first installment. A quick heads up to all in search of true high quality radio in the UK in the coming week. My book Newton and the Counterfeiter is BBC 4’s Book of the Week for the coming five days. And, should you be so moved, you can even get the raw material to create your own Newton podcast, North American readers can pick up the book at the usual suspects (Amazon, Powells, Barnes and Noble,Indiebound), and those across the pond may do so as well, at the other usual suspects. (Amazon.co.uk, Waterstones, Blackwells, Borders,John Smith & Son). 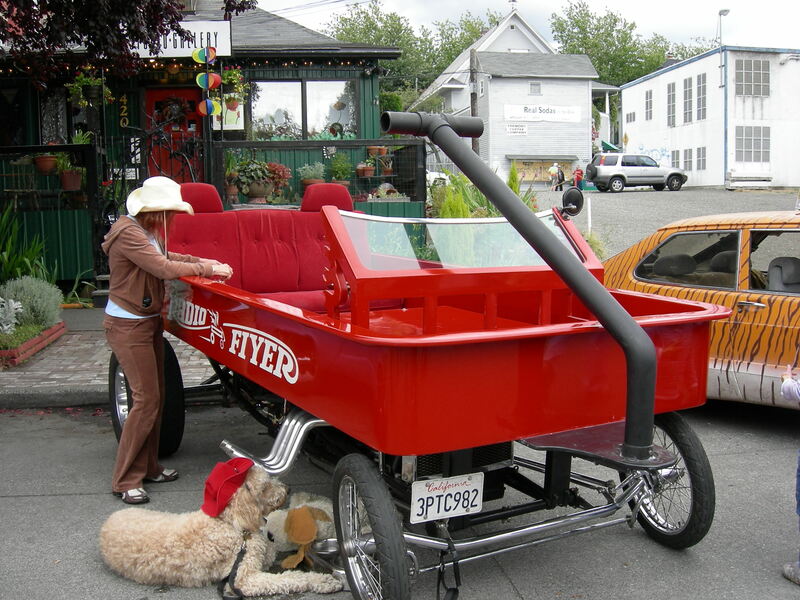 Image: Joe Mabel, Art car: Motor vehicle in the form of a giant Radio Flyer red wagon, 2007 Fremont Fair, Seattle, Washington. This entry was posted on August 30, 2009 at 4:18 pm and is filed under Newton and the Counterfeiter, radio, Self-aggrandizement. You can subscribe via RSS 2.0 feed to this post's comments. You can comment below, or link to this permanent URL from your own site. If you go here you can listen to the broadcast in your own time!